...and a partridge in a pear tree. - Siha Games! This afternoon the BF and I decided to go for a virtual spin and take our fleet out for a mining op. 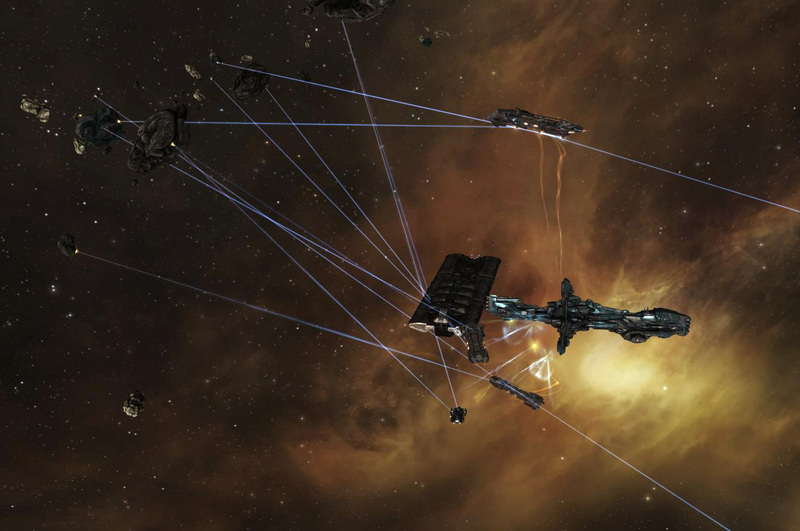 Twenty-two drones, three Hulks, one Retriever, one Hyperion, one Coercer, and an Orca. This is possibly a sign that we have too many EVE accounts between us. Or not enough. It’s hard to decide. Only seven ships at once? I was sure you guys had more than seven accounts altogether. There is no such thing as too many spaceship accounts. The more spaceships, the better. This is an objective fact.